Your kitchen is your home's central hub of activity. The Redmond kitchen remodel experts at DP Palmer will infuse new life to your home by creating a custom kitchen that impresses with both form and function . As full service contractors with an experienced in-house staff, we can handle your Redmond bathroom remodel project from its design to completion. Our talented in-house staff works with skilled craftsmen and recognized artisans to design and build some of the most beautiful and unique Redmond kitchen remodels in the region. 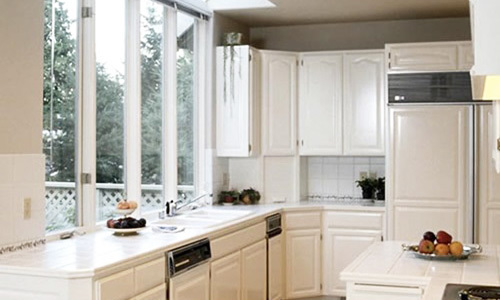 We will work with you to help bring your Redmond kitchen remodel ideas to life by using our experience and expertise. 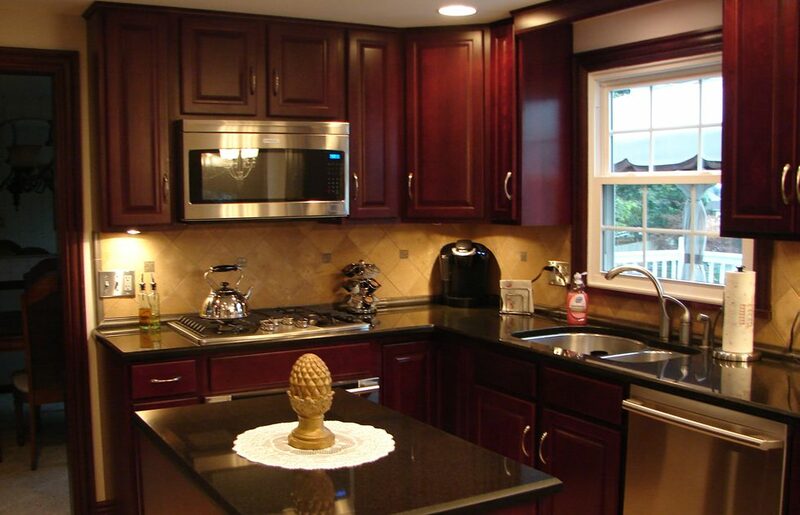 As a full service contractor, we can design and build your Redmond kitchen remodel while addressing any other remodeling, construction, or painting needs in your home or office. 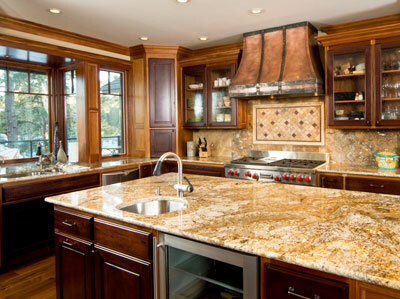 Contact DP Palmer today and let us help you get started on your Redmond kitchen remodel project. The namesake of Redmond, Washington named Captain Luke McRedmond and a man named Warren Perrigo, were the first settlers to stake claims for land on the northern end of Lake Sammamish. The greatest challenge for the early pioneers was clearing the very tall trees, that had such as large girth that equipment that was available was inadequate. However, this challenge resulted in the first economic boom in Redmond, although, the immediate solution was a technique of felling these tall trees was to burn their trunks above the roots. During the 1880's, loggers arrived in the valley by the droves and close to Issaquah, a man named John Peterson constructed the first sawmill that was located east of Lake Sammamish in 1890. In 1905, the Campbell Mill was constructed in Campton, which was soon followed by other prosperous shingle and lumber industries whose considerable payrolls created a demand for services and products. In the early years of Redmond with thick forests and few roads, the only practical method of transportation was by steamboat. Until 1916, when the Chittenden Locks opened, which lowered the local lakes by as much as nine feet, these flat-bottomed steamboats transported passengers and goods. The year prior to Washington was granted statehood, 1888, the Eastern and Seattle Lake Shore Railroad arrived in this community of wilderness, which helped to ensure the marketability of the timber in Redmond. Redmond was a rollicking community of restaurants, movie theaters, dance halls, hotels, and saloons in its logging days. In 1908, the first brick building in the community was constructed, which was the Redmond Trading Company. However, it wasn't long before other brick buildings were constructed, that included The Redmond State Bank, the Brown building, the old Redmond Schoolhouse, and Bill Brown's Garage. However, much the same as other communities in the West of that era, the majority of the structures were built from wood, which when burning were particularly susceptible to complete destruction as the result of the lack of a public water system. The fact is that destructive and repeated fires were the main reason that, in 1912, the stable community of some 300 people became a fourth-class community. In order to finance a modern waterworks system, and to tax the flourishing saloons, that same year brought the incorporation of Redmond. The first mayor of the community was a man named Frederick A. Reil. During his term in office, Redmond blossomed. Motorized vehicles were a common sight on what is currently known as Leary Way and several new buildings were constructed in the downtown area. In 1916, Washington State adopted Prohibition, which was some four years ahead of the remainder of the country. This resulted in bootlegging operations within the community and many liquor stills in the woods that surrounded it. During the 1920's, the local timber industry declined rather rapidly as the result of aggressive logging that destroyed the virgin forests. Agriculture came to be the primary source of the economy in Redmond. Farmers struggled to extremely large stumps from the valleys and hills that were once home to bobcat, bear, and deer. They planted profitable crops, staked acres of berries, constructed structures for their mink and chickens, and fenced in their land for dairy cattle. During this time frame, the population didn't grow very much primarily because, during the Great Depression of the 1930's, many young adults sought employment elsewhere. Much the same as numerous other small communities in the nation, Redmond suffered but persevered during the Great Depression hit of the 1930's. The Redmond Bicycle Derby is one of the legacies of that period that is still surviving. In 1939, the event was intended as a fundraiser for school athletic equipment and decorations for Christmas, it is still the oldest bicycle race in the country. Signs that lead into Redmond are still proclaiming the community as the Bike Capital of the Northwest. The growth of Redmond has been helped by the natural progression of reliable transportation and better roads, from the early days of horse drawn stagecoaches and steamboats. In 1940, the population of Redmond was some 503 people. That same year, the first floating bridge across Lake Washington floating bridge was completed and opened, which resulted in an increase in the population. In 1963, the completion of the floating bridge across Evergreen Point resulted in an aggressive growth of residents. This was much the same as in the 1880's, when logging was booming. This also created a demand for local services and goods. During the 1970's, the high-tech industrial growth in Redmond started slowly. However, but by end of the 1900's, the population had increased to some 43,610 people. After bridges were constructed over Lake Washington during the last half of the 1900's, the neighboring communities of Bellevue and Kirkland boomed. In the meantime, Redmond continued to grow quietly and would experience another increase in population at the beginning of the 2000's. The Microsoft Corporation started to take flight in 1985. In 1975, the company was established by Paul Allen and Bill Gates. By that time, the company had outgrown its offices in Bellevue and was seeking a location to establish a corporate campus. Mr. Allen and Mr. Gates selected Redmond for the location of their headquarters. Microsoft controlled approximately 355 acres of property in Redmond, by 2004. That same year, Microsoft announced plans to purchase some additional 20 acres by purchasing the corporate headquarters of financially plagued clothing retailer, Eddie Bauer. That is some kind of change for a small community that was once known as Salmonberg.